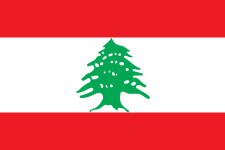 Lebanon is a beautiful country, located at the crossroads of the Mediterranean Basin and the Arabian hinterland. Air Quality information is available publically and freely, once a day from the from erml.moe.gov.lb website. Data is provided only once a day, while it is available for every hour for other countries. Detailled readings, for each pollutants and expressed in mg/m3 is not available. Instead, only the composite AQI, without much information about the individual pollutant data or the AQI scales is use. Write few words about your request - eg:"I live in Beirut, and would like to get hourly readings. ", "I would like to help by hosting an monitoring station", "I would like to know the average daily air quality for the past year", ..